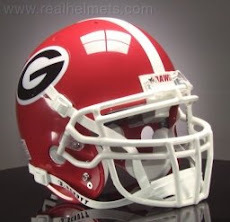 With today's announcement that both quarterback Matthew Stafford and tailback Knowshon Moreno will enter this year's NFL Draft, the good news coming from this is that it frees up two more scholarships in a year where UGA's openings are limited to begin with. Here's hoping they both go to high school offensive linemen, and this is the reason: For practically all of Coach Mark Richt's eight year stint at Georgia, the lack of experience and depth on the offensive line has been an ongoing problem. And a problem of gigantic proportions, which has absolutely nothing to do with the physical size of the guys we are referring to. Academic issues, discipline infractions, recruiting omissions and career ending injuries have all contributed to a decimation of personnel at guard, tackle and center. 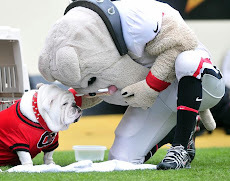 As of today, the Dawgs have a total of twelve scholarship offensive linemen. Of those twelve, seven will exit the program after 2010. 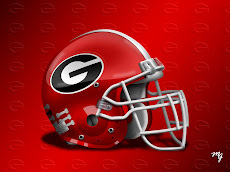 Georgia has only two verbal commitments for 2009. All of these numbers mean that we will be o.k. for the next two seasons, but after that we will again be unbelievably thin, young and inexperienced for at least a three year run. Deja Vu all over again.